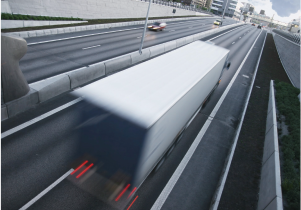 LTL is an expedited service with a dedicated fleet of highly-skilled drivers. We are reshaping the concept that LTL freight shipping is just a commodity. With customized solutions based on your company’s needs, we deliver more transportation options and technology than any other provider in the industry. Specializing in shipping to Western Canada and the U.S.A. Eastern sea board, SureTrack ensures that your shipment arrives safely and on-time, every time. We provide extremely fast service un-matched with any other freight shipping company. Our partnership with leading international airlines, inter-modal services, and major transportation companies means your shipment is in the right hands. Each truck operates on a team driver system with 2 drivers at all times. SureTrack’s drivers are highly-skilled and able to ship anything from glass to copper piping. Our trucks are equipped with leading technology sending customers live notifications twice daily and giving up-to-date progress of shipments, including any unexpected delays.